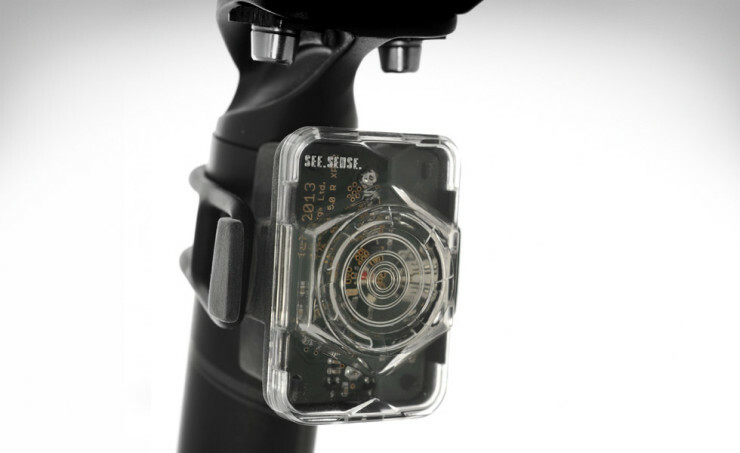 See Sense Bike Light Packs Sensors | OhGizmo! By David Ponce on 10/22/13 • Leave a comment! You can get a bike light that shines bright all the time, or you can get See.Sense. This one shines bright most of the time, and then shines even brighter when it thinks you need it. Sensors in the housing detect road conditions and adjust both the blink rate and illumination intensity based on that. Whether you’re just reaching an intersection, or being approached by a car with its headlights on, See.Sense will detect that and vary its output to attract the attention of other motorists. But it doesn’t stay on at max power all the time because, the makers reason, it’s just too much and unnecessary. It’s £36, or roughly $58 to get your own on the fully funded Kickstarter.